In 1914, the nations that engaged in war expected their battles to end quickly and decisively. But the conflict that came to be known as the Great War or World War I dragged on for more than three years, longer than anyone expected. The participants did not understand how improvements in technology made a long, terrible war possible. Prior to the nineteenth century, most guns shot a single load. The invention of the machine gun and rapid-fire artillery made warfare more deadly, so soldiers dug trenches for protection. The trenches were terrifying. Machine gun fire erupted whenever a soldier allowed his head or weapon to appear above the trench. Even more frightening were the large artillery guns that launched shells from behind the trenches. One soldier described the shelling as being inside a thunderclap. He said it was the only noise you felt with your entire body. But the soldiers had more to fear than bullets and shells. The Great War marked the beginning of the use of chemical weapons. Soldiers were blinded by tear gas caused blindness and suffocated by chlorine gas. Mustard gas was an oily, sticky substance that left its victims blinded, blistered, and struggling for every breath. 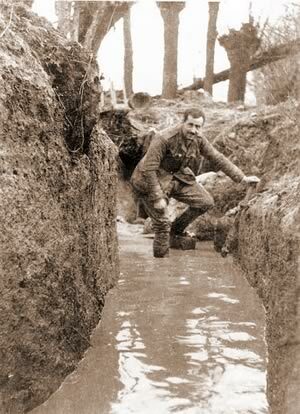 Heavy rain was an additional hazard in the trenches. Thousands of soldiers drowned; many more were wounded as they fell in the muddy channels. It was not uncommon for a soldier to stand for days in water as high as his chest. Many soldiers had to have their feet or legs amputated after becoming infected by parasites in the filthy trenches. 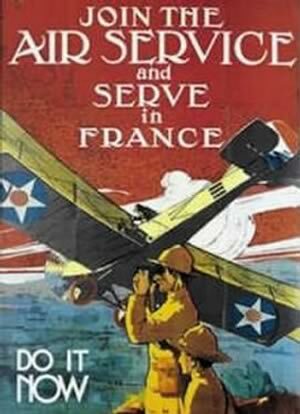 High above the trenches, another even more deadly war took place in the skies. The airplane was another new addition to warfare. The average life expectancy of a new pilot was between three and six weeks, but American recruiters managed to build an air force of more than 200,000 men. 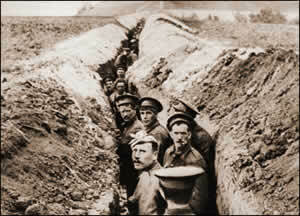 Soldiers from both sides built trenches to defend their territories. The trenches offered some protection from small artillery, but they attracted parasites that led to disease. Many soldiers suffered from trench foot after standing for lengthy sessions in cold, dirty, and wet ditches. Soldiers often had to have their feet or legs amputated after becoming infected by parasites in the filthy trenches. The Great War moved to the air with the Sopwith Camel. 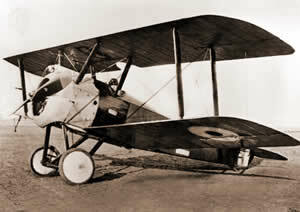 This British First World War single-seat biplane fighter was used first on the Western Front of the war in 1917.